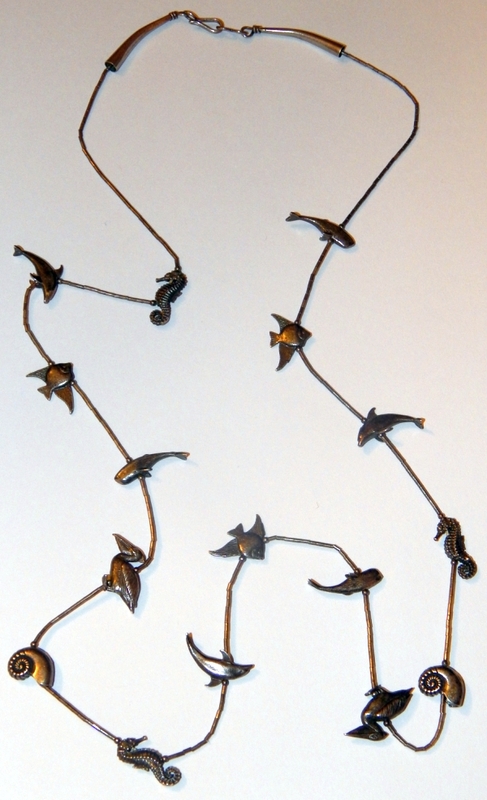 Is this necklace by Loloma? 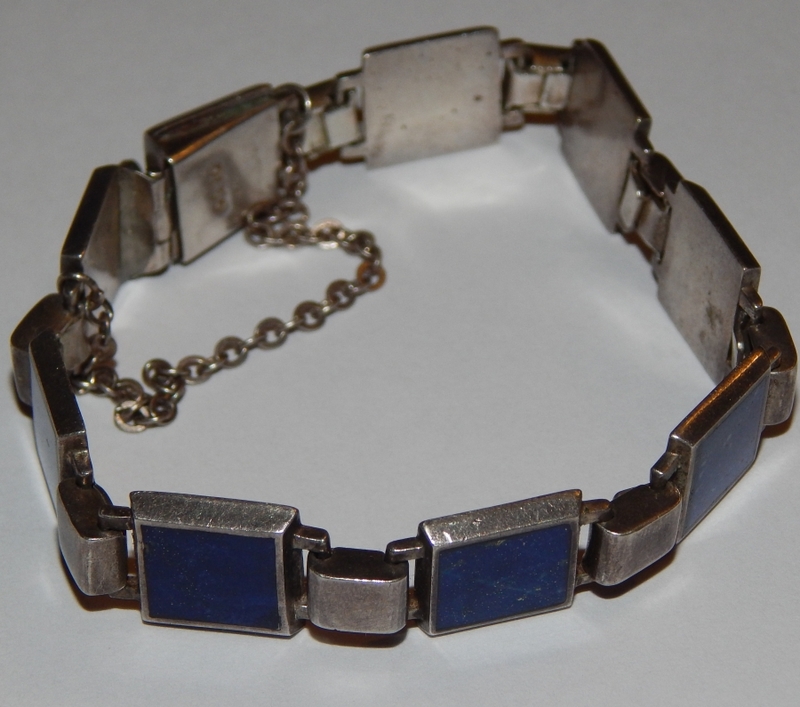 Hello Paula, I have inherited several pieces of jewelry… Some Native American and Mexican… Some silver/sterling silver. You sent quite a few photos of quite a few items. I’ll post some of the photos you sent with my comments and perhaps other readers will recognize some of the items and contribute their opinions. 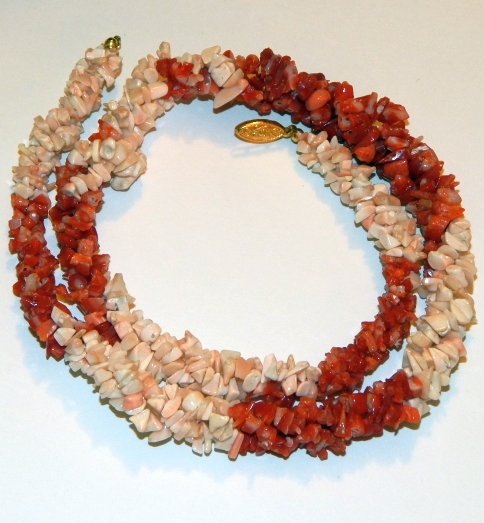 Shell and probably dyed red shell or possibly coral in a spring wire bracelet with gold tone findings – not Native American made. 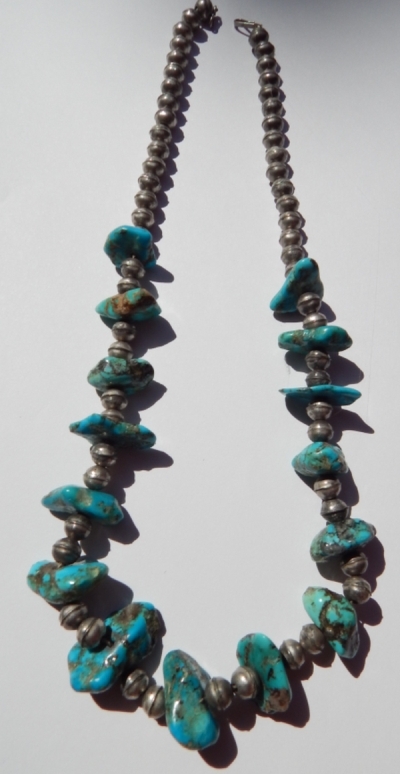 Bench bead and turquoise nugget necklace – likely Navajo made. 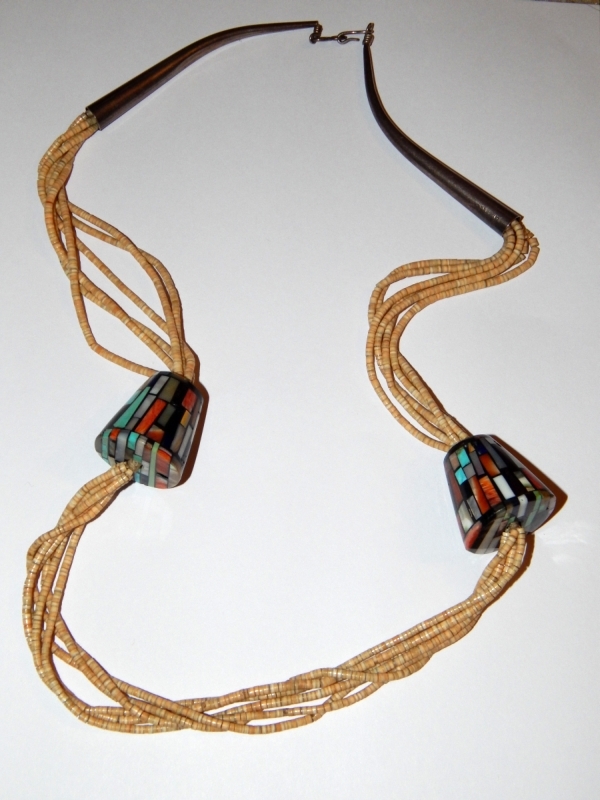 I’m guessing that you are asking if the above necklace was made by the late Charles Loloma, Hopi artist from the Badger Clan 1955-1991. You sent this closeup of the mark by the STERLING stamp on the end cone. The mark looks like a fern to me. 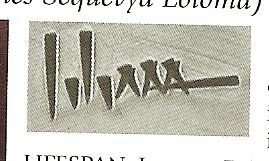 Loloma’s stamp is quite distinctive and different from what you show – here it is. My gut feeling is that the necklace is not Native American made but I don’t have a lot of experience with the mosaic beads. Perhaps someone else recognizes them. 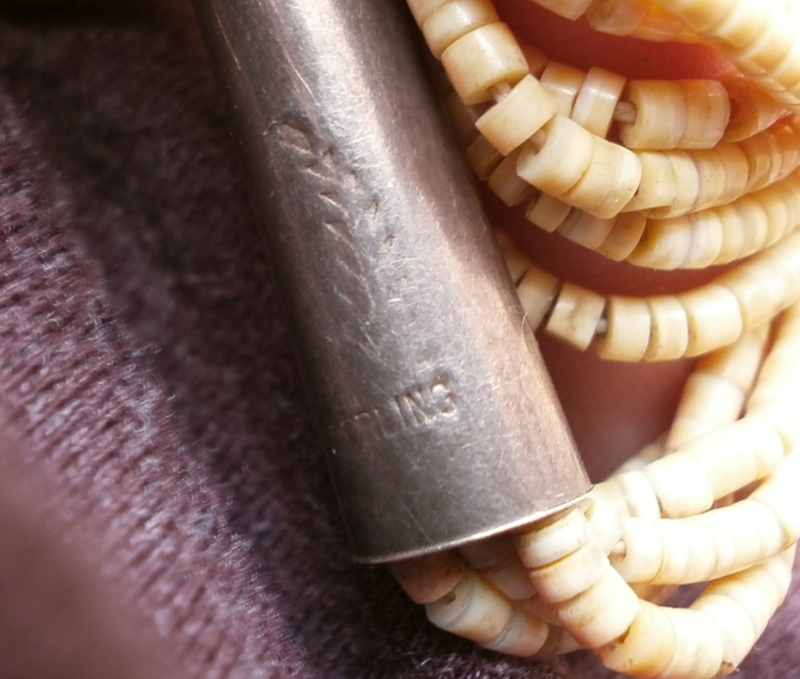 You can buy authentic vintage Native American jewelry in our Pawn Shop.